Building practices are constantly evolving, especially with respect to roofs. As the cost of energy continues to rise, many homeowners and business owners are realizing how much money they can save by having energy-efficient roofs. If you’re a person that’s been saddled by high energy bills, then perhaps you’d like to know a little bit more about energy-efficient roofs and how they can save you money. We thought we’d take this opportunity to explore the topic a little bit with you. There are a number of benefits that a cool roof can offer you. First and foremost, a cool roof will save you money. According to the United States Department of Energy, a cool roof has the potential to save a homeowner or business owner up to 15% on their air conditioning bills annually. Of course, not every area of your home or business is air-conditioned. Having a cool roof will help to keep these areas cooler too, which is great for homes and businesses that are in naturally hot climates. 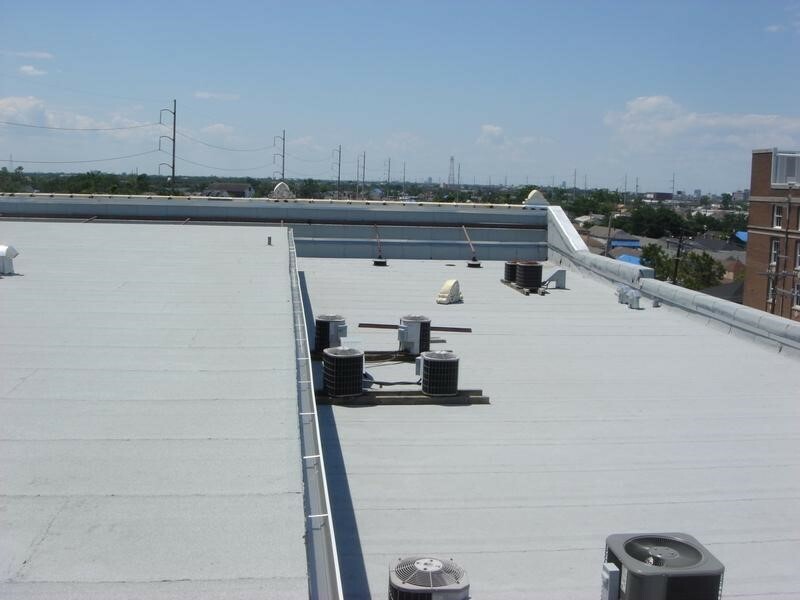 Because of the way that cool roofs can help homeowners and business owners to save on their energy, cool roofs also contribute to a decline in carbon emissions overall and contribute to a healthier environment. Overall, you can say that cool roofs are a win-win! It listens to the coolest music! Sorry, that’s a bad joke. But seriously, folks: There are two factors that determine the coolness of a roof. One is solar reflectance and the other is thermal emittance. Solar reflectance is pretty much what it sounds like – it refers to the amount of sunlight that is actually reflected off of the roof. Those roofs that are darker in color will necessarily absorb more sunlight, converting that light into heat, and then transferring it into the building that they’re over. A lighter colored roof reflects more sunlight, thus it does not absorb as much heat. Naturally, this leads to a cooling effect. Thermal emittance might require a bit more of an explanation. Any material will take and then retain heat. So, thermal emittance refers to any material’s ability to radiate off the heat that it absorbs. So, a roof that has a low thermal emittance will retain more of the heat that it absorbs, transferring that heat to the building that the roof protects. A roof with a high thermal emittance will instead radiate the heat that it absorbs away from the building. Given all of the benefits that cool roofs can offer you, you’re probably wondering about getting one for your home or business. You should know that there are many different options available to you. Obviously, a white roof will offer you the greatest cooling effect, but there are roofing options in a number of different “cool colors” that will be perfect for those who are concerned about the aesthetic quality of their roofs. As for material, a cool roof can be made out of pretty much any kind of roofing material, from simple shingles to metal. We understand how important the roof of your home or business is, and how important it is for you to have a roof that will lead to savings on your energy bill. That’s why JOI is proud to offer you comprehensive service for selecting, installing and maintaining a cool roof on your home or business. If you’d like to explore your options and to evaluate your potential for savings, then simply get in touch!